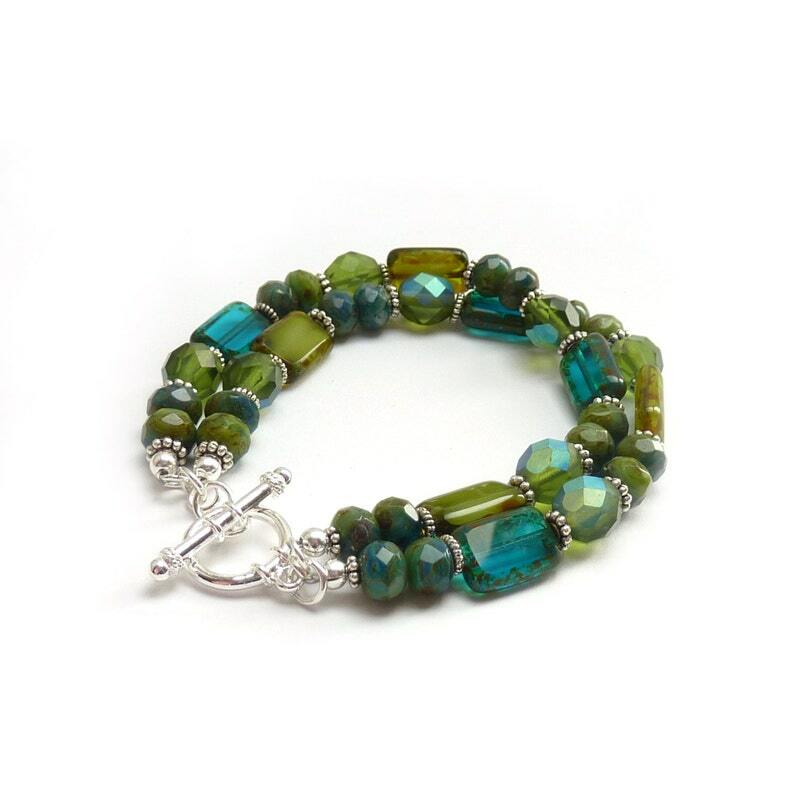 Colorful boho bracelet made with two strands of Picasso rectangle glass beads in various shades of blues and greens. The colors beautifully compliment each other and create texture to the bracelet. I added silver spacer beads in between the beads and finished it with a round silver toggle clasp. * Ships at 7 1/2" or you can select another size from the drop-down menu to the right.